Ed Jones is eager to banish the bad luck that has dogged him in recent weeks when the 2018 Verizon IndyCar Series resumes in Pennsylvania next month, after seeing his strong turn-of-speed again scuppered by ill-fortune last weekend in the Honda Indy 200 at Mid-Ohio (27-29 July). 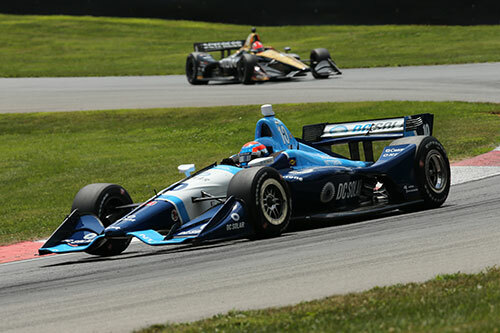 When Lady Luck has been on his side, Jones has impressed during his sophomore campaign at the fiercely-disputed pinnacle of US open-wheel competition, tallying six top ten finishes – including a brace of podiums – for Chip Ganassi Racing. 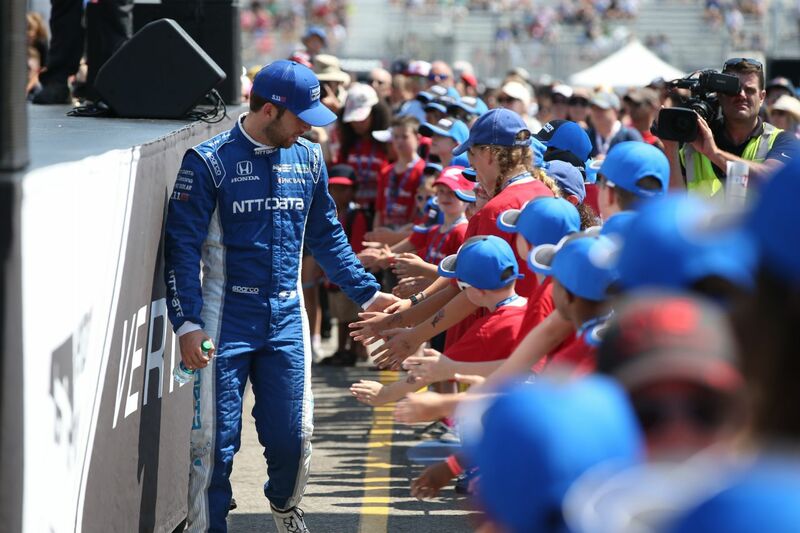 The 2016 Indy Lights Champion and 2017 IndyCar ‘Rookie of the Year’ looked primed for another eye-catching result at Mid-Ohio Sports Car Course – a challenging 13-turn, 2.258-mile road circuit characterised by sequences of fast, flowing corners each leading into the next. 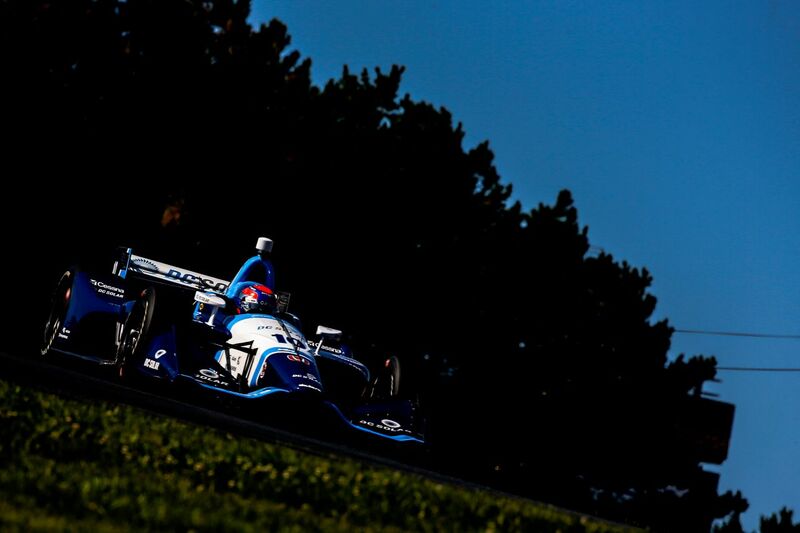 In the first free practice session, Jones lapped sixth-quickest amongst the 24 high-calibre protagonists behind the wheel of his 720bhp Dallara-Honda single-seater, less than six hundredths-of-a-second adrift of four-time title-winning team-mate Scott Dixon – the third-most successful IndyCar driver in history and a man with five previous Mid-Ohio victories to his name, a record in the sport. The talented young Dubai, UAE-born ace maintained that encouraging form with eighth position in FP2 – once more right on Dixon’s heels – and he was on-course to progress through to the Firestone Fast Six in qualifying when the red flags flew late on for an accident involving another car. That spelt a premature end to the action and restricted him to a disappointed 11th on the starting grid, around a circuit where overtaking opportunities are famously few-and-far-between. 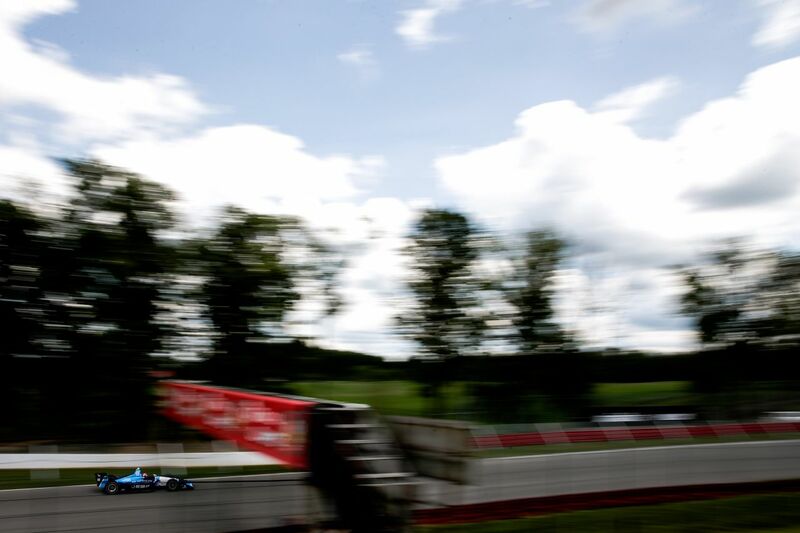 “Mid-Ohio is a very difficult track,” Jones acknowledged. “Qualifying is extremely important there and one of the biggest keys to a great race. Having tested at the circuit the previous week, we came out-of-the-blocks fast with the No.10 DC Solar Honda in practice, with both Ganassi cars unloading well and showing good speed. The former European F3 Open Champion made a bright start to the 90-lap race, but found himself baulked on the first lap and then further delayed by a spinning car ahead on lap two. 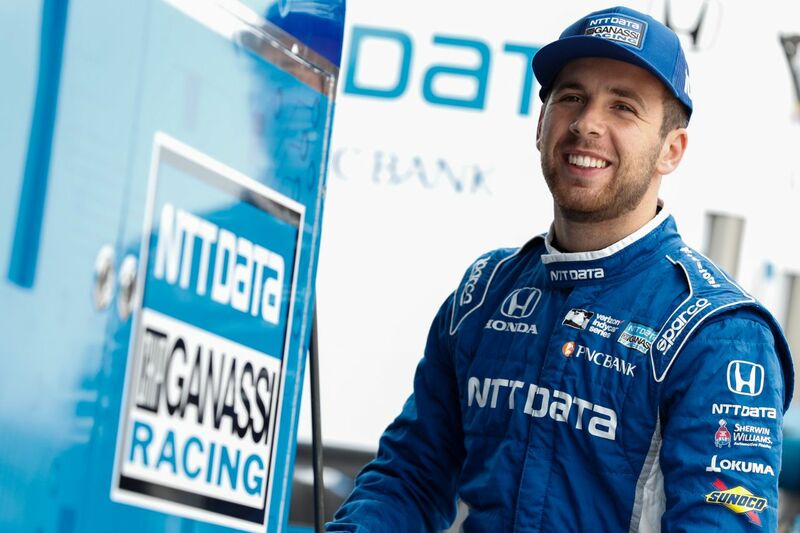 He nonetheless advanced to ninth position early on, pushing hard and notably engaging in an entertaining wheel-to-wheel duel with six-time race-winner James Hinchcliffe. Jones was running just outside the top ten and matching the leader for pace at mid-distance when he was forced to make an unscheduled pit visit to replace a punctured tyre, putting him a lap down. With no caution periods to help him regain ground, he went on to take the chequered flag 15th. A better fastest lap than the race-winner – and, indeed, three of the top four finishers – hinted at what might have been had he enjoyed a trouble-free weekend. 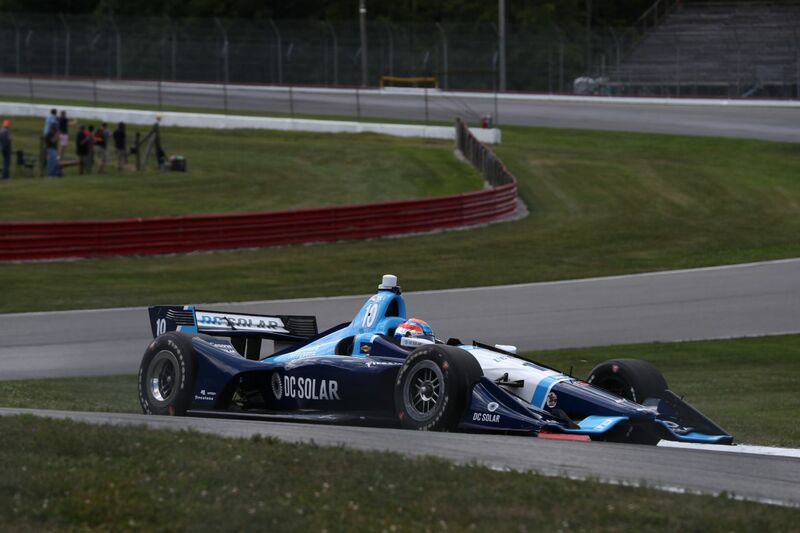 “It was a frustrating day for the DC Solar team,” reflected the 23-year-old Brit, who is being coached this year by multiple IndyCar Champion and Indianapolis 500 winner Dario Franchitti. “I think we had the pace and we should have been around seventh or eighth, but we made a call on strategy and got on what proved to be the wrong tyres. Unfortunately, everything we did from that point on made the race worse for us. 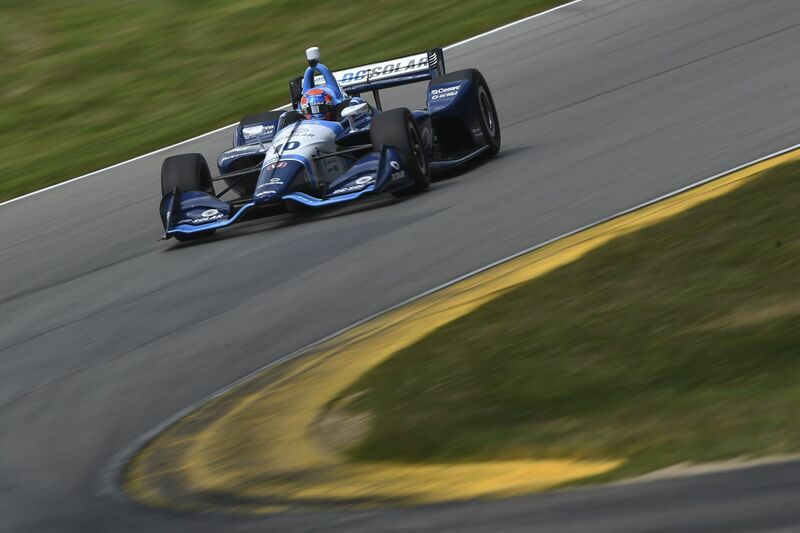 Jones will return to the track on 18/19 August for the ABC Supply 500 at Pocono Raceway, the 14th of 17 races on the 2018 IndyCar calendar.